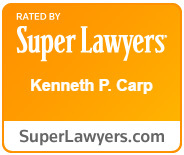 At Law Office of Kenneth P. Carp, the approach we recommend for your drunk driving arrest will reflect the circumstances of your traffic stop, your previous driving record, the toxicology reports, and any other facts that can support a defense on the criminal charges or help you protect your driver’s license in an administrative proceeding. Contact us in Bridgeton MO for a free consultation about the ways we work to develop your defense and expand your options for a favorable outcome. Our experience in all of the local courts in the St. Louis area can help identify your best defense alternatives based not only on the facts of your case but also on the charging practices and court procedures as they vary from one location to another. No matter where you were stopped for an alcohol-related motor vehicle offense, we can give you an accurate idea of your risks and your opportunities for overcoming them. BRIDGETON, MO LICENSE SUSPENSION DEFENSE ATTORNEYS: 636-947-3600As well as helping drivers face down the criminal charges that follow a drunk driving arrest, our lawyers also help defense clients with the civil and administrative aspects of a DUI or DWI license suspension. If you contact us soon enough, we can protect your interest in a limited driving privilege by making a timely application with the Missouri Department of Revenue. Our experience with coordinating the criminal defense and administrative cases that you will need to resolve can represent an important advantage toward protecting your right to drive. Our St. Louis DWI defense attorneys represent local drivers, first offenders, repeat offenders, military drivers, defendants from Illinois or other states, commercial drivers and minors who need to present a defense to underage drinking charges. Learn more about your options for resolving Missouri DWI charges. For a free initial consultation with an experienced defense attorney, contact Law Office of Kenneth P. Carp, in Bridgeton MO.